Nutrition And Dental Health In Children. Information on junk food, juice, sippy cup, soda, soft drinks, pop, sugar, dental caries, milk, sugar, and sweets. An average person in the United States now consumes 155 pounds of sugar per year. Unfortunately, processed sugar is not a good nutrient. In fact, only sugar which is in the form of complex carbohydrates (bread, vegetables) is healthy. The United States Department of Agriculture’s Food Guide Pyramid clearly shows that sugar should only be a very small part of a child’s diet! A young child who frequently uses a bottle or sippy cup containing juice or other sweetened liquid has an increased risk of developing early childhood caries (ECC). Children should only have water in their bottle or sippy cup between meals! Dental caries is a transmissible and infectious bacterial disease. A child’s diet plays a central role in the development of dental caries. The more sugar a child consumes, and the more frequently he/she consumes it, the greater the risk of developing dental caries (cavities). Sucrose is the most cariogenic form of sugar because it can form a long molecule called glucan. This “glue” (glucan) permits bacteria to adhere to tooth enamel, and keeps bacterial acid close to the surface of the tooth. cariogenic (cavity-causing) bacteria, food (especially refined sugar), susceptible teeth, and frequency of exposure to sugar (especially sucrose). 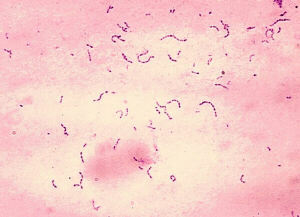 Cariogenic bacteria (mutans Streptococci) attach to the teeth and thrive in dental plaque. The bacteria use sugar to produce acid. When there is enough bacterial acid coating the tooth surface, demineralization (loss of mineral) of the enamel occurs. Good nutrition during pregnancy is very important for the development of baby teeth. Mineralization (calcification) of primary (baby) teeth occurs around month 3 to 4 of pregnancy. When a child is born, the crowns of the baby incisor teeth are almost completely formed. Nutritional deficiencies during pregnancy can cause serious problems, including poor enamel formation (hypoplasia), susceptibility to dental caries, delayed dental eruption, and small tooth size. Maternal osteomalacia (vitamin D deficiency) can cause hypoplastic primary tooth enamel. Fluoride supplementation for pregnant women has not been shown to reduce dental caries in children. Therefore, fluoride supplements are not recommended for pregnant women. Breast milk is the best nutrient for an infant. There are many components of breast milk which benefit the baby. Immunoglobulins. Secretory IGA is an immunoglobulin which protects against infections in the baby’s ears, nose, and throat. Lysosomes. They are a digestive material that influences the type of bacteria which live in the baby’s digestive tract. Lactoferrin. This is an iron-binding protein that has a direct antibiotic effect on staphylococci and E. coli bacteria. Carnitine. The baby needs this for converting fatty acids into an energy source. Growth factors. These factors encourage the growth of helpful intestinal bacteria – the lactobacillaceae. Long-chain fatty acids. These are important structural components in the brain and retina. Function: Needed for gingival health. Important for maintaining mucous membranes of the mouth. Source: Milk, carrots, and dark green vegetables. Function: Essential for healthy bones, teeth and growth of the jaws. Source: Sunshine, fortified milk, and oily fish. Function: An important part of the “extrinsic” clotting system. Source: Dark green leafy vegetables. Function: Needed for periodontal and gingival health. Aids in wound healing. Necessary for collagen production. Prevents bleeding gums. Source: Fresh fruit, potatoes, and green vegetables. Function: Deficiency leads to changes in oral mucous membranes – such as angular chelitis and glossitis. Source: Green vegetables, milk, liver, yogurt, and cheese. Function: Helps the structures of the face develop correctly. Pregnant women need to take this. Source: Dark green vegetables, liver, and whole-meal bread. Function: Helps in the formation of teeth and bones. Source: Milk, cheese, seafood, and yogurt. Function: Needed for energy production, metabolism, and healthy bone development. Source: Milk, cheese, meats, whole grains, eggs, and legumes. Function: Needed for muscle contractions and nerve function. Source: Milk, cheese, whole grains, and vegetables. Function: Needed for tissue repair, normal metabolism, and wound healing. Source: Seafood, liver, meats, and whole grain cereals. Function: Required for glucose metabolism and the release of energy. Source: Cheese, whole grain cereals, and meats. Function: Keeps bones and teeth strong. Source: Tea, broccoli, chicken, and fluoridated water. Function: Required for the production of blood and nerve fibers. Source: Seafood, liver, and nuts. Function: Needed for blood production and energy production. A deficiency in iron results in glossitis, which is a red, painful tongue. Source: Liver, leafy green vegetables, and meats. Soft drinks and soda are the biggest single source of refined sugar in the American diet. Carbonated beverages have absolutely no nutritional value, however. Heavy soft drink consumption is correlated with low intake of ascorbic acid, magnesium, vitamin A, and riboflavin. By 1998, American were consuming 15 billion gallons of soft drinks per year. Today, Americans consume more than 53 gallons of carbonated beverages per person, per year. Even more alarming… twenty percent of one- and two-year- old children in the U.S. consume soft drinks with an average consumption of seven ounces per day! Fifty-six percent of U.S. 8-year-olds consume soft drinks every day! High soft drink consumption leads to excessive caloric intake and high consumption of sugar. There is a positive correlation between soft drink consumption and dental decay. In many carbonated beverages, the sugar content can equal 10 teaspoons per 12 ounces! Most carbonated beverages contain phosphoric acid, citric acid, and carbonic acid. Tragically, this leads to chemical erosion of teeth. Carbonated beverages are aggressively marketed at the teen market. Consumption of soft drinks among 12- to 19-year-old males approached 81 gallons per year in 1998. As teens in the United States have increased their consumption of soft drinks, their consumption of milk has decreased by 40%, which contributes to a decrease in their bone density. In fact, carbonated beverage consumption in teenage girls is associated with osteoporosis later in life. Girls build 92% of their bone mass before the age of 18. Unfortunately, only 10% of teenage girls consume the recommended amounts of milk and dairy foods. Do not put an infant or toddler to bed with a bottle or sippy cup which contains juice or milk. Only water should be in the container. In addition, do not let your youngster drink or sip juice throughout the day. Frequent use of a sippy cup containing juice is likely to cause dental caries. Put only water in sippy cups! Keep only healthy foods in the house. Buy “whole-wheat” products and bread. Avid buying sweet snacks or soda, as these are very destructive to teeth. Do not buy sticky, sweet foods such as candy, raisins, and fruit roll-ups. Teach your children the importance of healthy eating habits. Do not let sugars dominate your child’s diet! Make healthy foods fun by providing a variety of healthy snacks, fruit, and vegetables. Snacking on cheese can help prevent tooth decay. Aged cheddar, Monterey Jack, and Swiss cheese are best for this purpose. Let your children know that soda and junk food causes cavities. Offer your children milk or water instead of juice. Teenage girls especially should drink plenty of milk and avoid soda to prevent osteoporosis in the bones. Help your young child brush after every meal. An article in Pediatrics reports on 2 cases of severe nutritional deficiency caused by consumption of health food beverages by infants. Case #1 was a 22-month-old male who was admitted to the hospital with severe kwashiorkor – a protein deficiency. Case #2 was a 17-month-old black male who was diagnosed with rickets – a vitamin D deficiency. In both cases, taking a thorough diet history was crucial for arriving at a diagnosis.